The Flinders is ideal for protecting a small patio, deck or entertainment area adjacent to your home. The single 4-point sail is attached to the frame of your roof and extends to two galvanised posts. The Hamilton is designed for homes with a small patio, deck or children’s play area that is set away from the house. With four posts, it is also suitable for homes that do not have a typical A-frame roof structure to which a sail can be anchored. The Lorne is ideal for homes with a large outdoor entertainment area located adjacent to the house. The two 4-point sails are attached to the frame of your roof and extend to three galvanised posts. The Noosa is ideal for homes with a large patio, deck or children’s play area that is set away from the house. With six free-standing posts it is also suitable for homes which do not have a typical A-frame roof structure, to which sails can be anchored. 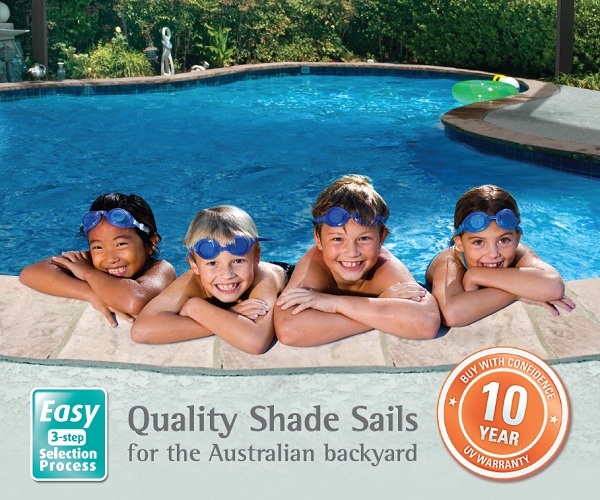 Custom made shade sail only including fittings and installation starting from $990 fully installed.